Coming from a software engineering background focused in web development, I have always been interested in the supporting infrastructure. With the emergence of DevOps, I have truly found my passion. This newfound enthusiasm has led me to pursue DevOps professionally. I am currently living in colorful Colorado in the Boulder area. Colorado is an amazing place to be. The weather, the mountains, and the people here make it one of the greatest places to work and live. I graduated from CU Boulder in 2012 with a BS in Computer Science and I have been working in Boulder ever since. I really enjoyed studying Computer Science in college and hope to one day go to grad school. I am a generally easy going guy who enjoys spending time with my friends and family. I'm a computer nerd through and through, so I spend a hefty amount of time programming and playing on the computer. I was admitted to CU Boulder in 2008 into the Aerospace Engineering program. After spending the majority of my first semester programming a text based adventure on my TI-83 calculator, I realized my interest in Aerospace was lacking and I was obsessed with programming. I changed my major to Computer Science, and enjoyed the next four years falling in love with nearly every aspect of programming. I hope to return to school and enhance my nerd-knowlege as a graduate student in the not so distant future. Focusing on improving agile processes and DevOps practices. 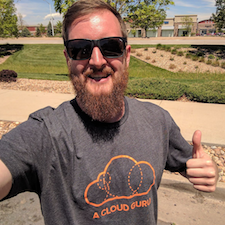 Hands on with AWS infrastructure, and most client projects. Developed standardized Docker development environment and custom CI/CD pipeline using serverless webhooks + AWS CodeBuild + AWS CloudFormation to deploy services to AWS ECS Cluster(s). Development for a Ruby on Rails project to process auto repair loans. Worked extensively with backend integrations with vendors (CRM/DMS/etc). Coordinated server deployment and provisioning of several different instances with specific roles/tasks. Gained significant amount of experience with AWS, Vagrant, Ansible, Docker, and other devops related technologies. Working mainly on PHP applications. Many small client-facing sites with quick turnaround. Also significant work on internal tools and applications to increase efficiency and productivity. Experience building and utilizing a wide range of API's and services. Using different frameworks, such as: CodeIgniter, jQuery, Bootstrap, and others. Spent time working on iOS apps and native Mac apps, helping to become more familiar with Objective C. Built and customized many websites and web-based applications. Managed remote VPS system using Linode with Ubuntu to run several web apps and services. Maintained several Windows and Linux servers for the University. Learned about Active Directory and complex server configurations and relationships. Helped build and maintain several internal/external web applications, as well as desktop applications tool using C# & Objective C.
Contact form is currently disabled.